When did your passion for acting begin? My passion for film began when I was 13 and I went to boarding school and every weekend we would just watch movies all day long. One of the movies I watched there was Moulin Rouge, which left me speechless after it finished. That was the moment of realization. It became clear to me that it was what I wanted to do with my life. From that point on, I found myself feeling alive every time I saw a good movie, I wanted to be a part of it. I wanted to tell stories and inspire other people´s lives. As an actress I prefer theatre, you live a journey from beginning to end and you only live it once. There is also the connection with the audience which film doesn't give you. I feel more vulnerable with a live audience, you put yourself out there as a human being and you let them see your soul, your human experiences. Even if I don´t know them I allow them to come into my life, they empathize with your vulnerability in a present moment. How did you get your first part as an actress? The first play I ever did was Alice in Wonderland when I was 13 and I was in boarding school. I was the Rabbit. But the first audition in which I actually got the job was a mobile phone commercial in Mexico. In the callback I had to pretend that I was in the car with my boyfriend and we were abut to kiss when suddenly the three wise Kings appeared in the back seat of the car… It felt so good to get payed for the first time as an actress. What is your biggest dream? What would you like to achieve as an actress? I want to tell stories. I want to entertain, but I also want to be part of projects that would make the audience have an experience that can make them feel good, happy and inspired. When you see a movie or a play, you root for the characters. Thousands of people all over the world become part of the same team without even realizing it, human race gets united through art. Its amazing what art can do for peoples spirits. Tell us abut Los Muertos, how was your experience? I read the script, I loved it, and I really wanted to be a part of it. I understood why Santiago Mohar, the director, wanted to tell this story. It spoke to my personal life a lot. I think that its a strike against the way that wealthy kids in Mexico City live. I had experienced that in my life and it made me sick. By being part of this project I felt like I was raising my voice by saying:“Yhis is what the real thing is and it's disgusting, it's destroying society! Look at it!”I´m very happy with the result, because it creates an uncomfortable experience, but the message goes beyond that. What can you tell people who wants to study acting in NYC? I can say that if you have the opportunity to come and learn from the best you should. Also, that your own growth depends on how much you are willing to work. It doesn't matter if your teacher is amazing, if you are not doing the work you´ll never be able to see what you are capable of achieving. An actor prepares. En los últimos meses me he puesto a pensar mucho sobre el amor, qué significa, cómo llega, cómo lo defines… Creo que soy una más de la multitud de personas que meditan al respecto diario cuestionándose: “¿Qué es el amor?” Miles de años han pasado, millones de libros, canciones, películas y posts de blogs han sido dedicados al tema y la realidad es que jamás se encuentra una respuesta. Digo, debería ser tan fácil: tú quieres a una persona, esa persona te quiere a ti y lo demás no debería de importar. Suena fácil, ¿no? Entonces, ¿por qué no lo es? Todos somos planetas y conforme vas creciendo tus experiencias te van haciendo más reservado, más temeroso y exigente a lo que buscas en otras personas. Sólo tienes lo que puedes ofrecer y, a la vez, te da miedo recibir lo que los demás tienen para dar. A todos nos han lastimado y todos hemos lastimado y abrirte se vuelve más difícil. Es un extraño círculo vicioso que sólo se rompe de vez en cuando, cuando la gente indicada llega a tu vida. Pero, es igual de complicado identificar cuando alguien vale la pena o no. La clave –o mi respuesta a la incógnita–, creo, es asumir con valentía a ése alguien que te inspire, que te de ése cierto elemento que por más ensayos, poemas y libros que escribas jamás vas a poder explicar. Me ha tocado que le llamen magia, y tal vez lo es, pero definitivamente eso es lo que yo busco, lo que quiero para mí y es lo que quiero ofrecer. Como dicen por ahí, la vida tiene mucha mierda para que el amor sea mediocre. Y se preguntaran: “¿qué con esta loca y su post cursi?” Bueno, les reto a no pensar en esto después de una tarde lluviosa de sábado escuchando a Joni Mitchell y Brandi Carlile. Después de todo, ya les dije que soy una romántica. Creo que no es descabellado afirmar que la espera de un diagnostico es de las cosas más angustiosas que un ser humano puede afrontar. Al menos, mi experiencia lo dicta así. Siempre esperas lo peor, tu mente vuela por los millones de escenarios que tu inexperiencia usa como gasolina. Lo que yo llamo el “worst posible outcome”. Y en mi caso, fue así... O al menos eso creía en el momento. Pero, finalmente me di cuenta de algo: yo no soy mi diagnóstico. Y eso fue el punto que cambió las escalas para mí. Me di cuenta de que yo podía hacer con lo que tenía lo que quisiera. Yo tenía el timón de mi vida, y aunque había un factor totalmente impredecible, yo decidí ser feliz. Sí, cambiaba mi estilo de vida, pero eso no tenía por que cambiar mi visión de las cosas –que los que me conocen saben que es bastante romántica. No puedo negar que hay veces que aún me enojo, o me siento mal al respecto. Eso sucede en los días malos en los que mi enfermedad me limita. Es fácil hundirse en un poso de self-pity, es más fácil que ser fuerte y enfrentar las cosas. 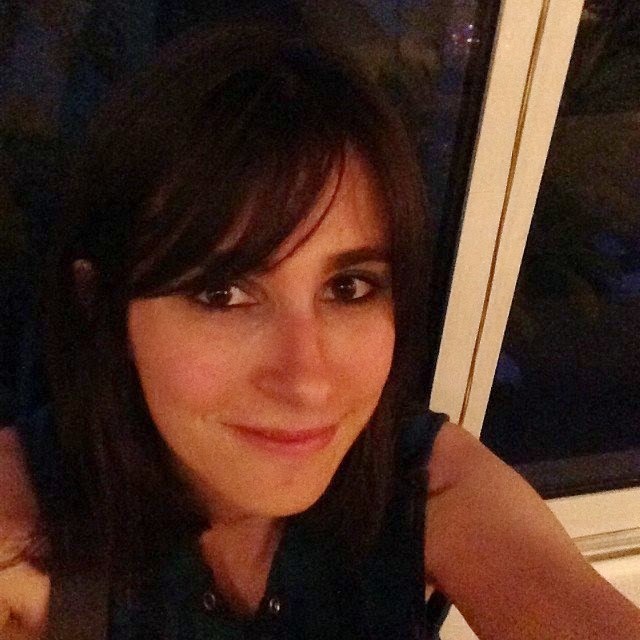 Pero como he escrito antes, el lupus no me define, sólo es una parte de mí que transformó la manera en que veo al mundo. Y me da felicidad y orgullo decir que lo transformó para bien. Sí, descubrir que vas a estar enferma por el resto de tu vida a los 17 no es ideal, ¿pero qué vida lo es? To all of you who haven't seen this movie, I greatly recommend it. It moved and made me cry... Eh I mean... It inspired me. I leave you the trailer so you can enjoy it. So, Can We Say Bunheads? ABC Family premiered three weeks ago their new show "Bunheads". I must say I fell in love with it immediatly. First it is an Amy Sherman Palladino show, which guarantees an original (who you may know from Gilmore Girls) , fast paced script. Besides you got a load of talent lead by Sutton Foster (awesome Broadway actress) and Kelly Bishop with a very well rounded character, like Emily Gilmore was. A New Kind of Sci-fi? As fairly interseted –and yes you may say it, nerdy- sci-fi fan, it has been brought to my attention that in the last couple of years the genre has shown change. That change is bringing us extremely interesting films with many new elements that I’m personally loving. It’s seems as though filmmakers are trying to mesh really ordinary characters and dramatic situations with science fiction elements. This trend is creating really interesting stories with really profound messages that make us question the core of our own humanity. And don’t get me wrong, I still love space operas and alien invasions, but these movies are making me wonder if we ran out of explanations to who and what we are. I’ll list here some movies that better exemplify what I’m trying to say. This film, directed by the controversial Lars Von Trier, opened in 2011 in Cannes. After some dodgy comments in a press conference, he was banned from the festival. Lars comments not withstanding, the movie got a great reception. Kirsten Dunst took the award for best actress and Charlotte Geinsburg was praised for her performance. The story centers around two sisters –played by Dunst and Geinsburg— that are very different from each other. The movie starts with a wedding and evolves until a cataclysmic event ends the world. Consistent with Von Trier style, the characters are deeply flawed and forced to face death in a very unique situation. After Antichrist, Von Trier returns to use metaphors for depression with this movie and it is done beautifully. 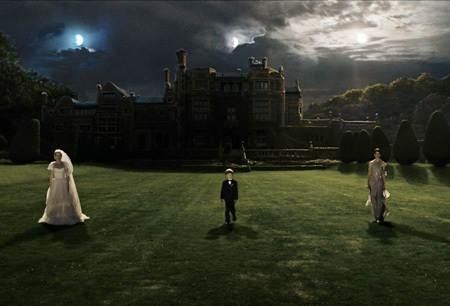 Filled with stunning visuals, Melancholia is the perfect example of a different kind of science fiction, which in this case, is irrelevant to what the film is trying to say. This indie film premiered in Sundance Film Festival in 2011. It was produced with the very small budget of $200,000 and written by Mike Cahill, director of the film and Brit Marling, star of the film. This film gives hope to all of those who are writing great sci-fi screenplays but don’t have huge amounts of money to produce them. The story centers on Rhoda, a brilliant 17 year-old girl who is in love with astronomy. One day, while celebrating her acceptance into MIT, she gets drunk and gets distracted by the radio talking of a planet that resembles Earth had been discovered. As she gazes into the sky, Rhoda accidentally drives into a family’s car, killing the mother and the son. After she gets out of jail four years later, she enters a contest to win a ticket to what now has been named Earth 2, after it was discovered the planet was a mirror of our own Earth. At the same time, she seeks redemption by trying to help the survivor of the car crash. With brilliant acting, and a really interesting approach to the action-reaction dynamic, Another Earth dips into fantasy making real what we all have wondered sometime: What if I had done things differently? Originally a book by Kazuo Ishiguro. 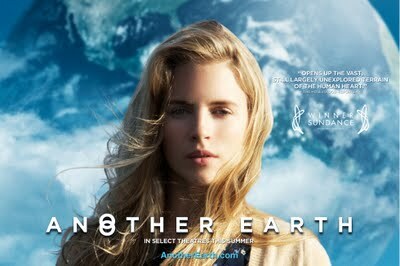 this 2010 movie seeks to remind humanity of the responsibilities we have to that which we create. The movie follows the life of Kathy H – played by Carey Mulligan – from the moment she realizes she exists, until she understands her destiny and the purpose for which she was created. It is a soul-searching movie in which the characters don’t have the freedom to explore, making the outcome emotionally tragic. This story makes science fiction integral to the plot in a very subtle way and it is almost imperceptible, in spite of it’s importance. Full of darkness, it reminds the audience that you only live once. The cast is completed with wonderful performances by Andrew Garfield and Keira Knightley. What would happen if, gradually, we started losing each sense? This is the premise of the Perfect Sense, a more extreme example of what sci-fi is looking like these days. It’s obvious, big and in your face. It is also a love story between two complicated human beings that have to adapt while trying to stay together. The interesting thing about this movie is that it treats common issues in unconventional ways. It is a great metaphor for aging and the frailty of being human and how it affects the way we relate to other people. Even though the movie has a great premise, it falls short in some aspects. Particularly so in the character development department, specially with Susan – played by Eva Green – who feels flat and lacks the depth that was needed for her chracter. Ewan McGregor completes the duo in this film directed by David McKenzie. So, this is the mini list of movies that are, in my opinion, innovating in the sci-fi arena. Hit the comment section and tell me what other sci-fi movies I might have missed. Joe Wright comes back with his muse, Keira Knightley, in Ana Karenina. 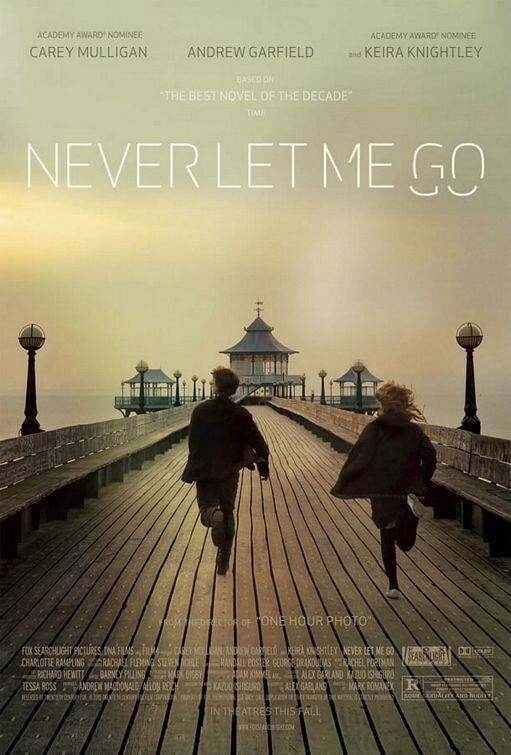 The movie is set to come out later this year. I am actually killing to see this movie. What do you guys think? The Hunger Games: Fan Gone Wild!